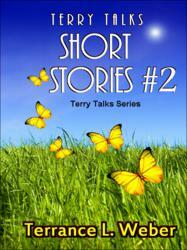 Originals By Weber Announces New EBook: "Terry Talks Short Stories Number Two"
Terry Talks Short Stories #2 is an EBook that can be downloaded onto phones, tablets and computers so readers can select the stories randomly whenever they have the time. 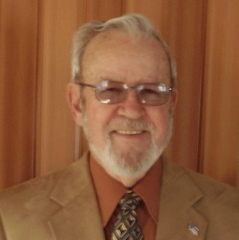 Author Terrance Weber wrote the stories at various times to fill the need of the moment. They were written for enjoyment, amusement and instruction. The stories can be read and then re-told verbally to relatives and friends in ways that make them quite interesting. Sit back, relax, take time to read ...enjoy. "Do you know the legend of the Indian youth’s rite of passage? His father takes him into the forest, blindfolds him and leaves him alone. He is required to sit on a stump the whole night and not remove the blindfold until the rays of the morning sun shine through it. He cannot cry out for help to anyone. Once he survives the night, he is a MAN. He cannot tell the other boys of this experience because each lad must come Into manhood on his own. "The boy is naturally terrified. He can hear all kinds of noises. Wild beasts must surely be all around him. Maybe even some human might do him harm. The wind blew the grass and the earth, shook his stump, but he sat stoically, never removing the blindfold. It would be the only way he could become a man! "Finally, after a horrific night, the sun appeared and he removed his blindfold. It was then that he discovered his father sitting on the stump next to him. He had been at watch the entire night, protecting his son from harm. "We, too, are never alone. Even when we don’t know it, our heavenly Father is watching over us, sitting on the stump beside us. When trouble comes, all we have to do is reach out to Him. "If you liked this story, pass it on. If not, perhaps you took off your blindfold before dawn. Moral of the story: Just because you can’t see God, Doesn’t mean He is not there ‘For we walk by faith, not by sight.’ ~ 2 Corinthians 5:7 "